Help The Doctor Fix Your Gout is my review of a recent gout patient care study. Here, I explain the importance of patients input for effective gout care. Because doctors need to assess each patient’s concerns. So that they can adjust treatment or educate their patients. The purpose of this review is to encourage you to become more engaged in your gout treatment program. Because research tells us that patients who are involved in managing their gout have better chances of recovery. So this article supports the Purpose of GoutPal.com. By encouraging you to discuss better gout treatment with your doctor. In this article, I explain the overall principles of the gout study. Then in related articles, I will explain the practical details within the report. So you will better understand how to discuss your gout concerns with your doctor. Every few years, we see new medicines or improved medical practices that change the way doctors treat gout. So it’s good to see that recent trends in gout care have finally put the focus firmly on the patient. Because a new report shows that by listening to patient concerns, doctors can improve the quality of gout treatment. Furthermore, it presents a framework to identify patient concerns. So we can see behaviors that support or interfere with gout management. Thus doctors can encourage supportive behavior and discourage interference. But before I describe the report, let me explain some history. Last year I explained how earlier rheumatologist guidelines for doctors started to emphasize personalized programs for patients. Because the one-size-fits-all approach does not provide the right setting for the modern emphasis of treating uric acid by setting personal targets. So we saw how professional guidelines were beginning to incorporate the need for a “gout care package”. Where patient education and discussions are just as important getting the right meds. 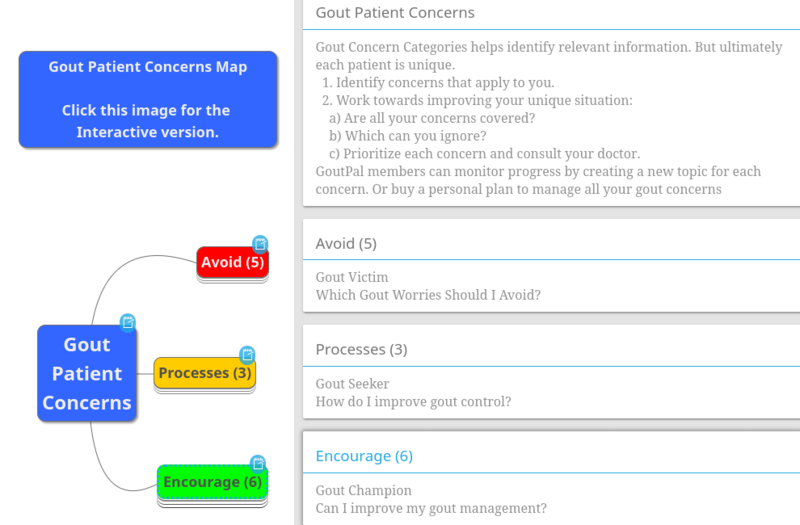 Now, the latest report gives structure to the doctor-patient dialog in gout management. Because it classifies gout patient concerns and shows how addressing those concerns correctly can improve gout recovery. In this review, I will present an overview of the whole process. But the implications of this report are very significant for how patients and doctors will work together in the future. So, I will follow up with detailed explanations of each of the three themes identified by the report. 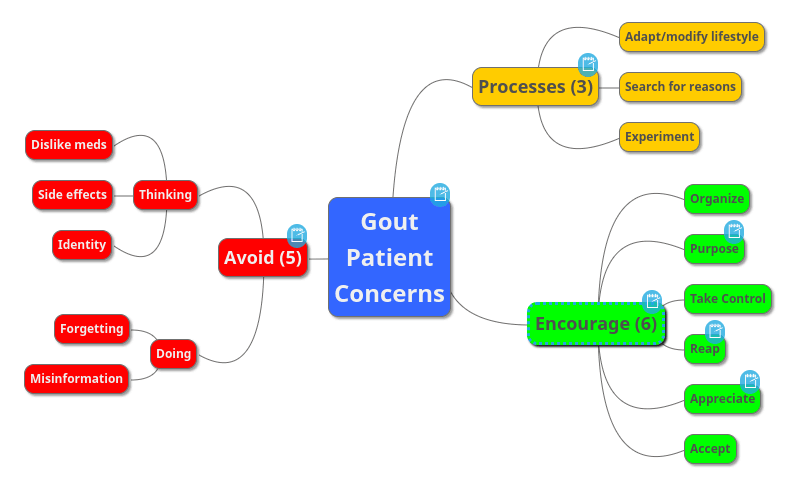 Processes that might encourage or discourage gout patients to participate in managing their gout. 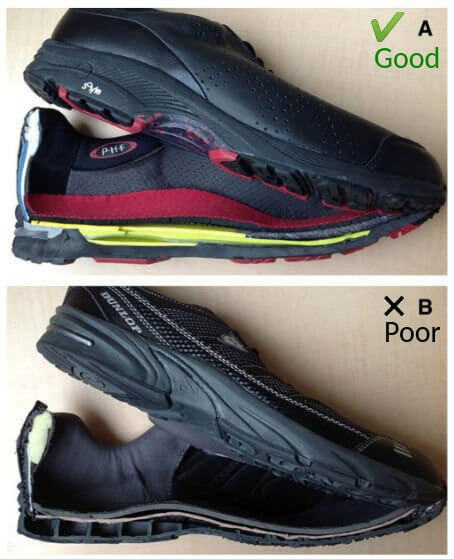 Improvements that support better gout management. Obstacles that interfere with gout management. It’s important to be aware that in isolation, these categories do not necessarily make your gout better or worse. Because the report is about assessing how involved the patient is with managing their disease. Then, as patients become more involved, they build better relationships with their doctors. So the resulting dialog should lead to treatment adjustments that make gout recovery faster and easier. Regular GoutPal readers will know that I think it is important to know your Gout Sufferer Type. Because that allows you to focus on gout topics that are relevant to you. But this new report gives us an “official” version of that type of categorization. So I will adapt my GoutPal facts to reflect this new analysis of Gout Concerns. With respect to the 3 themes identified in this new report, I can see how it relates to my earlier identification of Gout Sufferer Types. So I will conclude with brief notes about that relationship. Then I will publish an in-depth analysis of each of the three themes in separate articles. The report describes the first group of behaviors as a “Processing the diagnosis and management of gout” theme. So that links to my GoutPal Seekers type of Gout Sufferer. Because we have degrees of engagement with control of uric acid and gout. But sometimes there is a lack of commitment to a clear program for gout recovery. The report describes the second theme as “Supporting management of gout”. So that links to my GoutPal Champions type. Because strong commitment to working with your doctor to control uric acid safely is more-or-less my definition of a gout champion. The third theme is “Interfering with management of gout”. So that links closely to my Gout Victims type. Except that in my gout sufferer analysis I include healthcare failings as one of the reasons people become gout victims. Whereas this report is all about patients in a well-managed gout care environment. So obstacles introduced by doctors are outside the scope of the report. Except that the background notes cite “insufficient quality of care” as one of the factors causing poor gout patient outcomes. In conclusion, I believe this new analysis of gout patient behavior provides important insights into how we can improve gout management. Because it is easy to see which actions and attitudes should be encouraged or discouraged to get better dialog between gout patients and their doctors. What are your Gout Concerns? I suspect that, as this technique becomes more widely adopted, there might be other concerns. Or better ways of classifying concerns according to how they improve gout management. However, the most important aspect is not the classification process. Because classifications only help doctors organize their clinical care. Or they help people like me organize gout information in practical, useful ways. But the most important aspect is that each patient gets to voice their own concerns. Then your gout care package is truly personalized to your unique situation. Remember that you are more important than categories. So you should list each of your concerns now and consult your doctor about them. But if you are not sure how to prepare your list, post it to the gout forum first. Then we can help you decide exactly what you need to talk to your doctor about. I have now published my review of the first theme: Processing the diagnosis and management of gout. So leave Help The Doctor Fix Your Gout to read How do Patient Reactions affect Gout Management? Howren, Alyssa, Susan M. Cox, Kam Shojania, Sharan K. Rai, Hyon K. Choi, and Mary A. De Vera. “How patients with gout become engaged in disease management: a constructivist grounded theory study.” Arthritis research & therapy 20, no. 1 (2018): 110. Keith Taylor. “Managing gout needs more than drugs“. GoutPal, Jun 26, 2017. Keith Taylor. “Questions for Gout Sufferers“. GoutPal, May 30, 2017. Should I Walk with Gout?